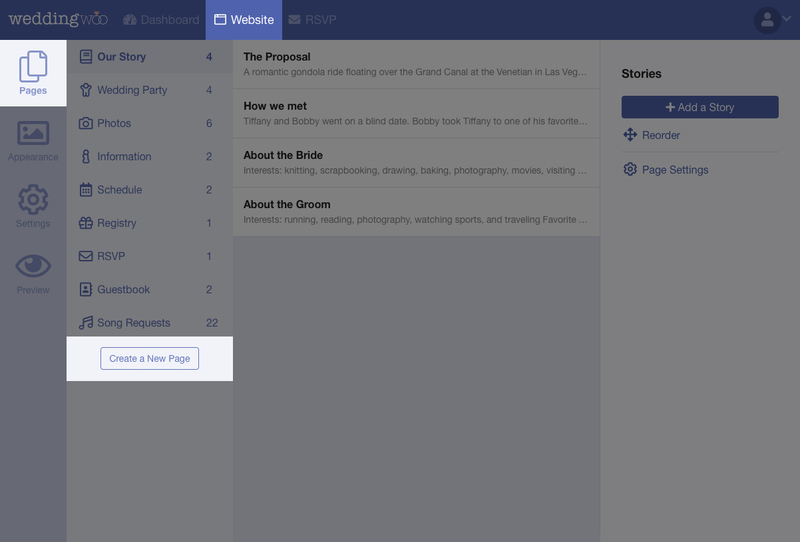 The WeddingWoo Dashboard contains a button in the left-hand column for Create a New Page. Clicking on it will allow you to create a new custom page. After clicking on the page, you will be prompted to add a page title. Once you hit Create Page, you will be directed to the newly created page. A custom page is similar to other default pages. Clicking on the Add Content button will bring you to a page where you can add a header and body. 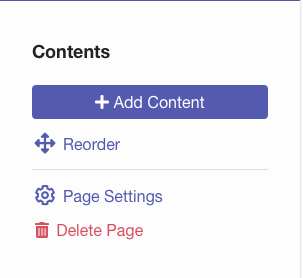 After you start adding content, you also have the option to Reorder the content you just added to be arranged in an order that you desire. There is also an option to Delete Page if you would like to completely delete the custom page and all of the contents. 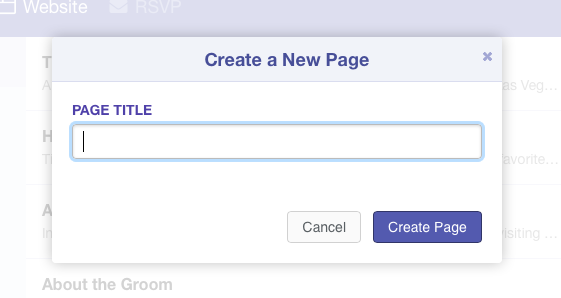 As a custom page, you can also modify the Page Settings like any other page. There is no particular format for a custom page so it allows you to have a freeform page in case you would like to add more content.